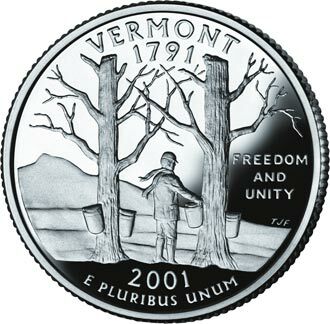 The "50 State" series of quarters (25-cent coins) was launched in the U.S. in 1999. The U.S. government planned on a large number of people collecting each new quarter as it rolled out of the U.S. Mint, thus taking the pieces out of circulation. Each set of 50 quarters is worth $12.50. Since it costs the Mint about five cents for each 25-cent piece it produces, the government made a profit whenever someone "bought" a coin and chose not to spend it. The U.S. Treasury estimates that it has earned about US$6.3 billion in seigniorage from the quarters over the course of the entire program.